DCNC Table Frame 3700x1790mm | DamenCNC B.V. 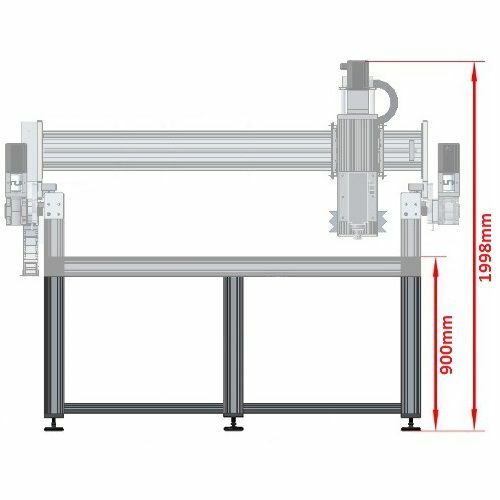 The DCNC Router Kit can be equipped with a Table Frame. Then the XYZ platform will be equipped with an undercarriage. This undercarriage is built with the same aluminum profile system as the XYZ platform, and is thus easy to adjust or expand. As the XYZ platform increases in size, a larger size undercarriage is also needed. 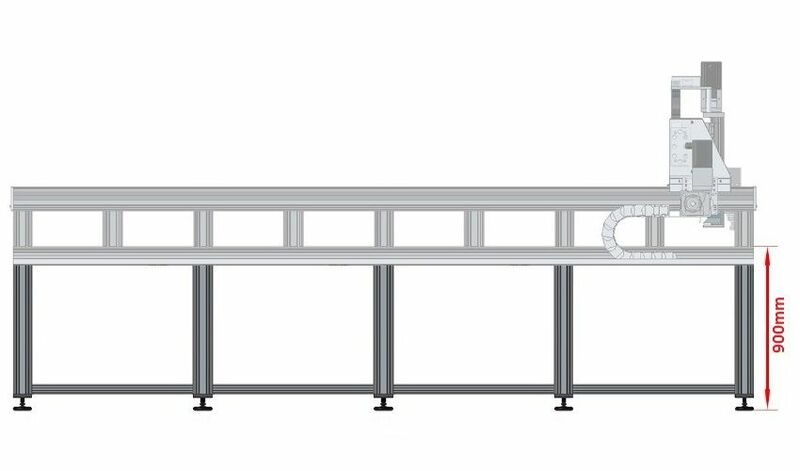 Select the Table Frame whose range corresponds to the selected DCNC Router Kit.